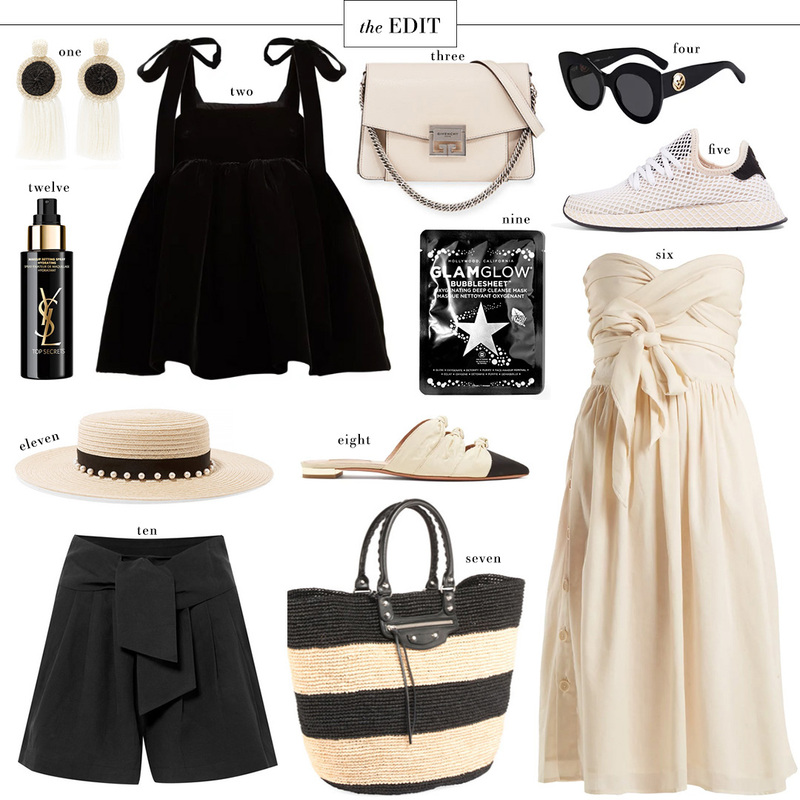 This neutral EDIT gives me all the summer feels! Well, with the exception of this voluminous velvet top. Isn’t it fab?! I quite literally want EVERYTHING in this post! These luxe pieces are vacation ready and oh so chic. I can just imagine this dress with flat sandals and an Aperol Spritz in hand in Positano… while I won’t be visiting Italy soon (sigh…) I did just book another trip for the end of summer! I’ll be going to Switzerland for the very first time! It’ll be a nice break from the Texas heat, and a fun way for me to bookend a great summer of travel. I’ll be going solo, which if you didn’t know is actually one of my favorite ways to travel! Not sure about traveling alone? Read this post I did awhile back to learn my tips on how to travel solo like a pro. If any of y’all have been to Switzerland recently, I’d love to hear your suggestions!! Comment below or shoot me an email with any tips you have! If you make it to Lucerne, be sure to check out Mt. Pilatus, Lake Lucerne (you can rent paddleboats! ), the Lion monument (famous and dedicated to soldiers), and the covered bridge. Beautiful to take pictures on! Also there’s an old wall that surrounds parts of the city that was fun to go exploring in! You must visit southern Switzerland! Lake Lugano is easily one of the most gorgeous places in the world. It’s like a cleaned up version of Lake Como. Completely different than the rest of Switzerland, but still set into the Alps (and with palm trees!) The Lake is perfect for an Aperol Spritz and the promenades have fantastic people watching. The cuisine is an Italian/Swiss mix, which can be quite refreshing after the heavier, more Northern cuisine. Other musts in the area are Valle Verzasca – emerald blue water with the most idyllic bridge, the castles in Bellinzona and if your traveling near the end of June/beginning of July the Jazz festival in Ascona is so fun. Also, right in Lugano there is usually some sort of weekend-ly fun event happening, just look at the LongLake festival list -which runs all summer long. My picks for you: you’d love La Cucina di Alice for a great meal, staying at the Hotel Federale (ask for a revamped room with a top floor view), and tea & dessert at the Grand Cafe al Porto.